Legbud UK had the privilege to support two of its customers complete "The Three Peaks Challenge" over the August bank holiday. 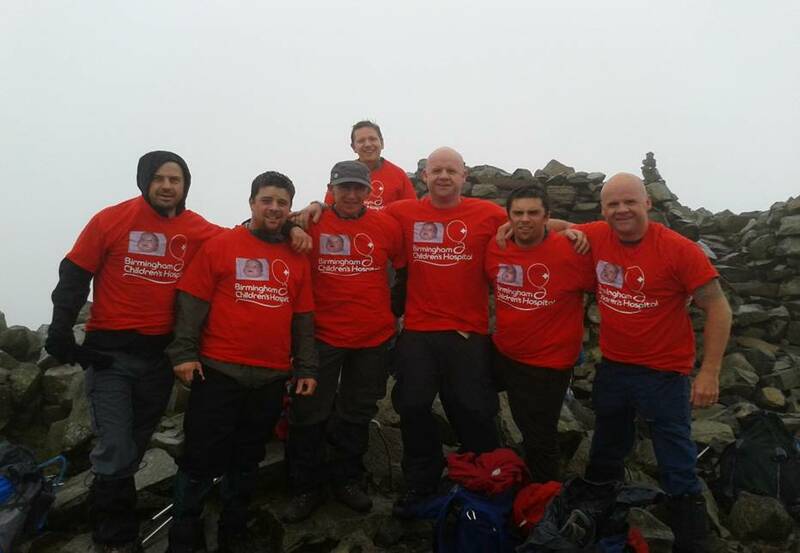 Simon Crowther of Complete Garage Doors Halesowen Ltd, and Dave Flanagan of Elite Garage Doors, along with friends and family completed the challenge which involved climbing: Ben Nevis in Scotland; Scafel Pike in the Lake District; and Snowdon in Wales, all in 24 hours . They did this in memory of Simon's son Riley Crowther, and in aid of Birmingham Children's hospital. Riley was born with a complex congenital heart condition called Ebstein's Anomaly . He was treated at Birmingham's Children's Hospital for 3 Months before he passed away aged 10 months.